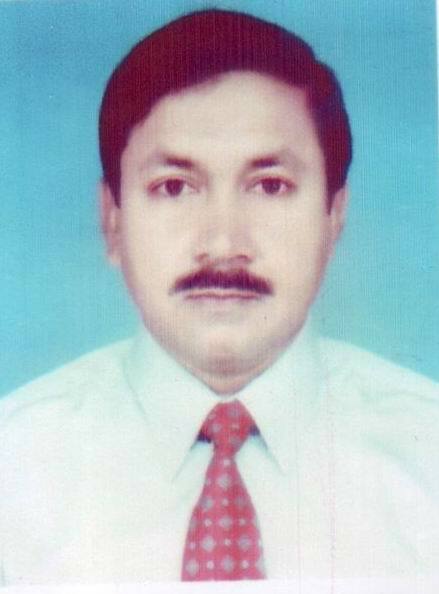 The Faculty of Veterinary Science is one of six in Bangladesh Agricultural University (BAU). BAU began as the East Pakistan College of Veterinary Science & Animal Husbandry, which served as the nucleus for the establishment of the then East Pakistan Agricultural University in 1961. The first syndicate meeting of the university resolved that the faculty of veterinary science shall be the foundation faculty of the new university, and Professor SM Ali, MRCVS was appointed as founder dean. The faculty is now equipped to international standards and is ideal for high-level of teaching and research. The faculty is spread over three adjacent buildings and consists of eight departments including a Teaching Veterinary Clinic, run mainly by the clinical departments to impart practical training in the diagnosis of poultry, companion, zoo and wild animal diseases, surgical interventions, clinical management and treatment, animal health care and welfare. Each of the eight departments possesses facilities for conducting both MS and PhD degree programmes. The Faculty offers a five-year full-time course leading to the award of DVM degree. Level I to III students study the basic and social sciences. Instruction includes didactic lectures, laboratory classes and small group sessions/tutorials. In Level IV, students proceed to the introductory stages of their clinical work, which involves theoretical instruction and training in practical aspects of clinical examination including sampling and more specialized techniques of pregnancy diagnosis, anaesthesia and diagnostic imaging. There are ambulatory clinics for DVM Level IV students to expose them to field problems. The Faculty of Veterinary Science also has a library namely “Professor Sayed Mahmud Ali Library”. The library is enriched with different books, journals, theses, novel, and books of history as well as religious. Students of the faculty can read these books at the library as well as they can borrow them for few days without any payment. The library is well equipped with computers and internet facilities. Internet access is free of charge. On the other hand, Wi-Fi connection facilities are also available. There is about 100 teaching staff in the faculty. Most of them are highly qualified and have PhD from home and abroad. Quite a good number of teachers received international recognition for their research achievements. There are about 4618 students graduated from the Faculty of Veterinary Science by December 2012; among them 3102 DVM, 394 MSc, 1098 MS and 24 PhD..